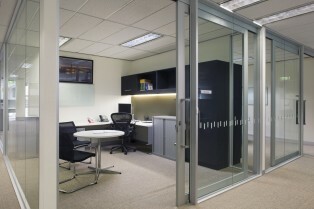 Nyrstar, a breakaway division of Zinifex, required new corporate premises to accommodate their growing business. 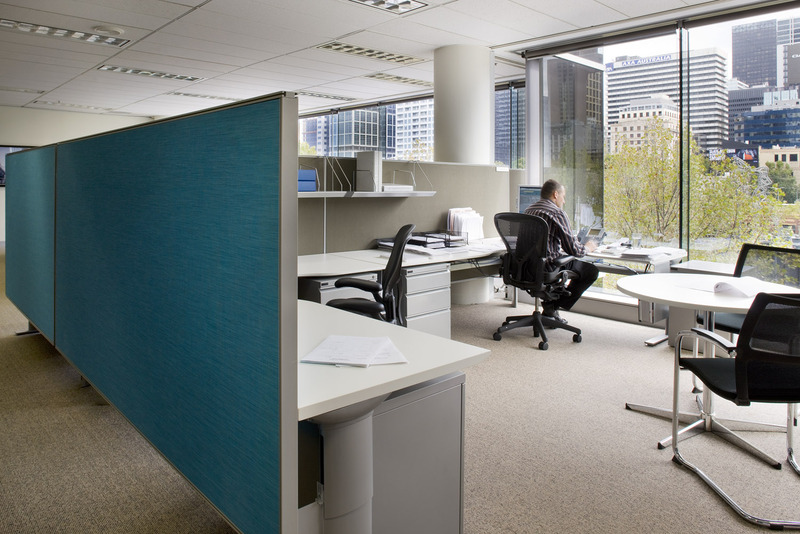 A team of 65 predominantly in open plan workstations, work around the perimeter of the floor plate to maximise natural light and views of the Yarra, with manager’s offices and other built zones clustered around the core. 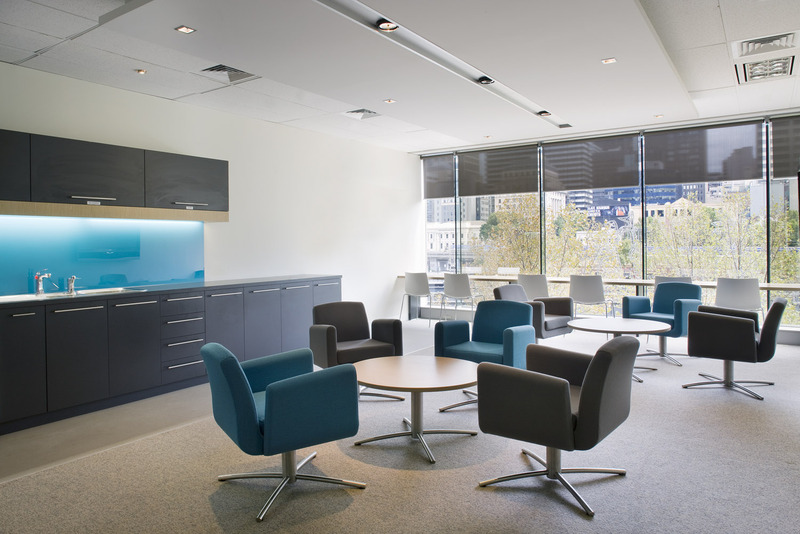 The environment is open and communicative, while still providing a sense of personalised space. Large amounts of storage were integrated throughout to accommodate the diverse range of storage requirements within the business to include rock samples, large drawings and reports required by engineers. A new “front of house” was designed to accommodate the new Nyrstar brand including state of the art meeting and video conferencing facilities. The overall design feel was developed to maintain a connection with the look and feel of Zinifex whilst still differentiating the Nrystar brand. The palette is neutral and warm throughout with highlight s of the Nrystar corporate blue. Elements in zinc, such as the sculptural screen and feature pendant light were incorporated to highlight the business of Nyrstar being the world’s largest producer of zinc and leading producer of lead.